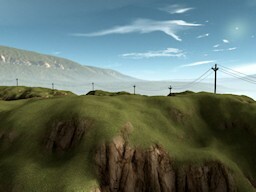 Traditionally aliasing within a surface has been addressed with mipmapping and aliasing due to geometric edges has been handled by MSAA. While this setup usually works reasonably well it does not fully solve the aliasing problem. 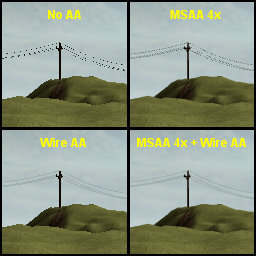 Lighting computations based on mipmapped samples can still introduce aliasing and there are certain geometry that can cause MSAA to break down. 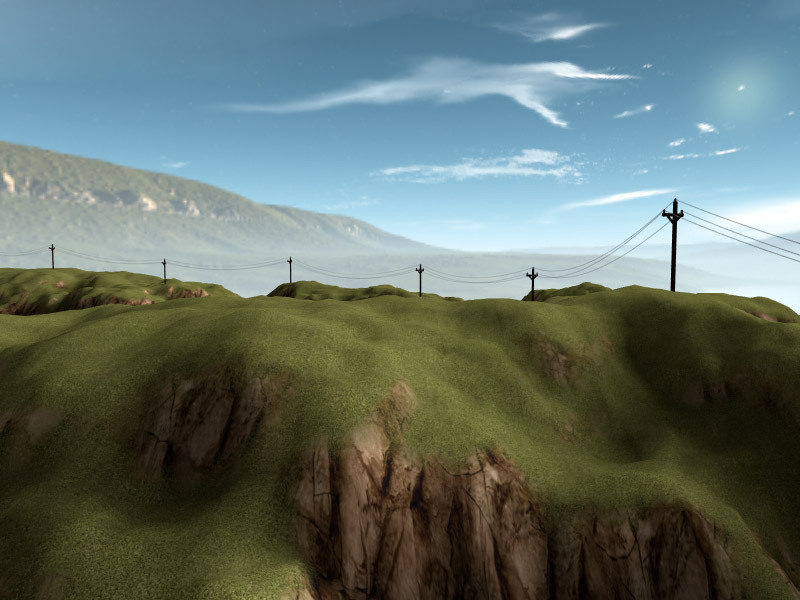 A common culprit of aliasing in games is phone wires. Due to the thin geometry they tend to get broken up into a bunch of random disconnected dots after a distance. MSAA helpes reduce the problem but doesn't fully solve it. It merely pushes the problem a factor further into the distance. Once past this larger distance, the same issues will start appearing even with MSAA. This demo illustrates a simple but effective technique for solving the problem. The idea is to adjust the radius of the wire to make sure it does not get smaller than a pixel wide. If the wire's radius would make it smaller than a pixel, it clamps the width to a pixel and instead fades with an alpha value corresponding to the radius reduction ratio. For example, if the wire is deemed to be half a pixel large at current distance, it clamps width to a full pixel and sets coverage to 0.5 instead. While the technique solves the problem of aliasing due to thin geometry, it does not address the general problem of jaggies; however, your regular MSAA will take care of that. With both enabled you get a very natural looking wire at any distance. A similar approach could likely be used on other aliasing prone geometry based on thin geometry, such as antenna towers, pipes and railings. This demo should run on any DX10 capable GPU.